Chesterfield ace Liam Pitchford, who is hoping to build on his superb form in 2018. 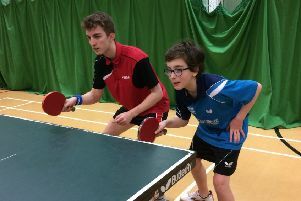 Chesterfield’s Liam Pitchford goes up against the leading table-tennis players in Europe at the weekend, aiming to reinforce his position as one of the continent’s best players. 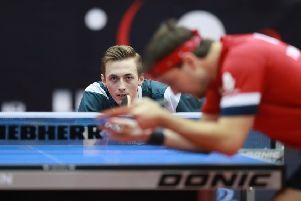 Pitchford is seeded fourth for the Europe Top 16 in Montreux. It is the first time he has qualified for the prestigious event, which brings together the best players in the European rankings. He will be drawn against one of the players ranked between nine and 16 for the first round of the straight knockout event. Pitchford says he is relishing the chance to build on his superb 2018 form, which saw him break into the world’s top 20 with a string of fine victories. “It’s something I’m looking forward to and another chance to prove myself,” he said, “There are eight players I can play against, and I know them all pretty well. I’ll focus on my game and when I know the draw, I’ll do some research and prepare.